On July 23, 2007, 17-year old Logan died after successfully undergoing routine surgery to correct his sleep apnea. Click on the image of 17-year old Logan to hear his mother, Pamela Parker, BSN, RN, CAPA discuss his death and lessons she has learned from it. Based upon the [Pasero Opioid Induced Sedation] Scale Logan was probably a three. Changing the probe from one finger to another, it might have stopped the pulse oximeter alarm from going off, but it did not address the true problem. It can now be assumed that Logan was already having ventilation issues. According to that to the Pasero Opioid Induced Sedation Scale, Logan’s condition was unacceptable and this required a decreased opiate opioid dose – 25 to 50 percent – or notify the prescriber. Each health care provider needs to consider the risk of respiratory compromise in planning a patient’s care, and this includes all clinicians involved in creating and implementing a plan, including the surgeon, the anesthesiologist, and the nurses. And, it should entail frequency of respiratory assessment and the types of monitors being used. Capnography should be used on all patients who are at risk for increased carbon dioxide. Other considerations include minimal usage of medications that increase respiratory depression, such as phenergan and benadryl. Additionally, the patient should receive full reversal medications by anesthesia at the end of surgery. Clinicians must create a better plan for the at-risk patient. After discharge, his deterioration was already rolling down too an accelerated path. The recent guidelines for respiratory depression have come after his death. Unfortunately, it often takes a bad outcome to create a better process. Loganâs bad outcome was absolutely heart wrenching and devastating for our family. Now, now is a time for process improvement. Do not just use capnography, use it and use it well. Understand it. 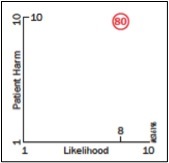 Use it to become a better nurse in your assessment of your patients. Do not be a task oriented health care provider. Thoroughly assess your patientâs respiratory status. Look at the big picture. Ms. Parker has been a registered nurse for almost 25 years. She is a recovery room nurse and works in the ambulatory procedure unit at a hospital in Indiana. In addition to providing patient care, Pamela is a clinical educator and provides bereavement support. 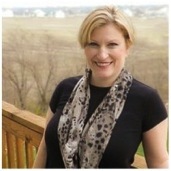 To help others with the loss of loved ones, she writes a blog âHope for Grieving Mothersâ (http://www.holeheartedmamas.com/). To listen to the interview with Ms. Parker on YouTube, please click here. For a pdf transcript of the interview, please click here.